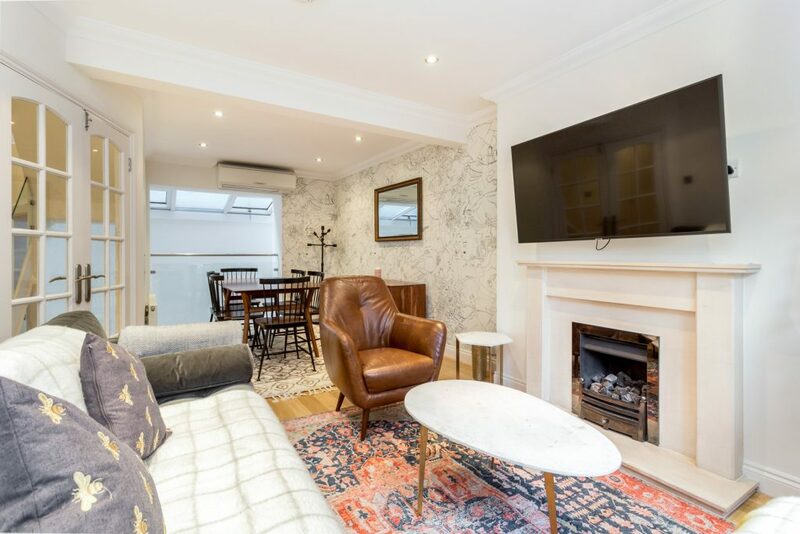 This lovely home located in one of the most sought-after locations in London, on a pedestrianised street just off the main road in Fitzrovia. 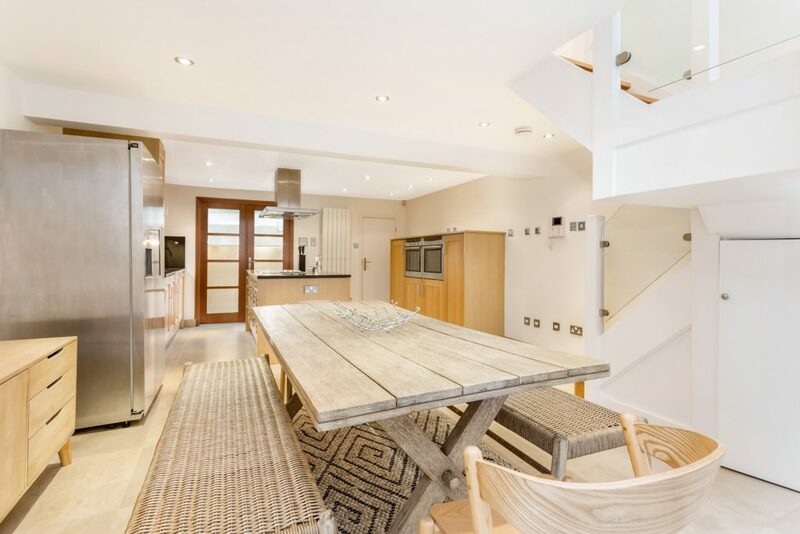 It offers ample open spaces for family or friends to share, as well as some privacy thanks to the four double bedrooms, three en suite bathrooms and one toilet room. The house features a south facing private roof terrace with a lovely view of the surrounding area. 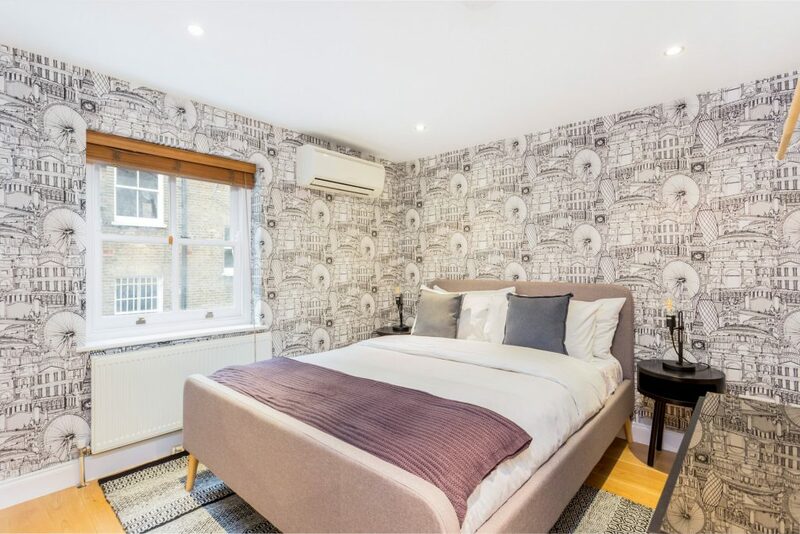 The location offers quick access to various tube stations and lots of attractions such as the British Museum, Oxford Street and various nearby universities. There are also many shops, cafes, award winning restaurants and pubs just a short walk away. 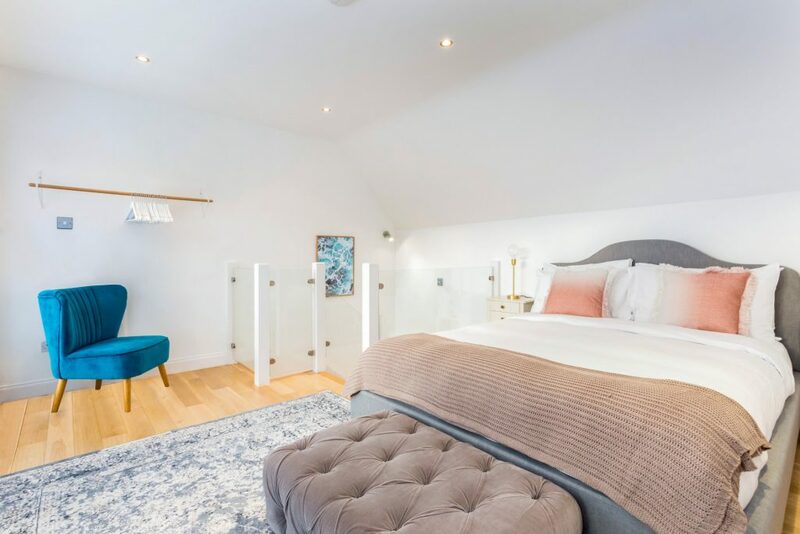 Recently renovated with modern design and interiors, this house is the perfect place for family or friends who want to experience London from a central and classic location. 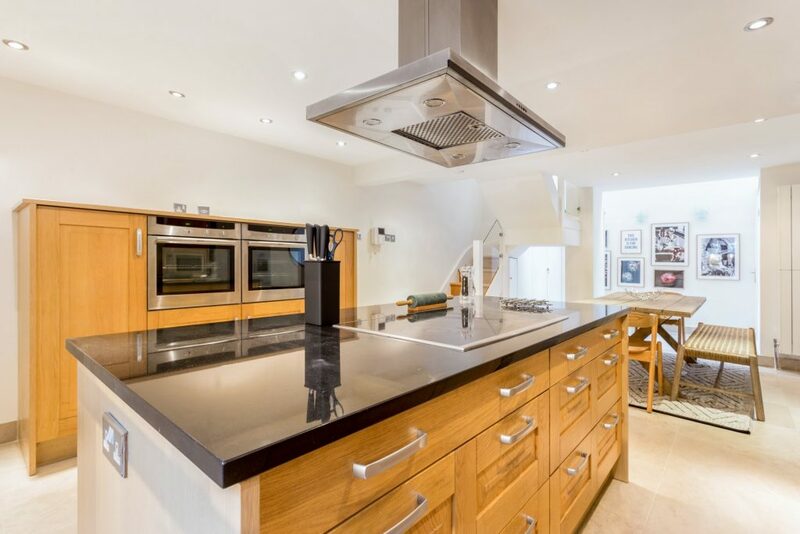 This home comes with a fully equipped open plan kitchen with a dining area, comfortably seating 8 people. 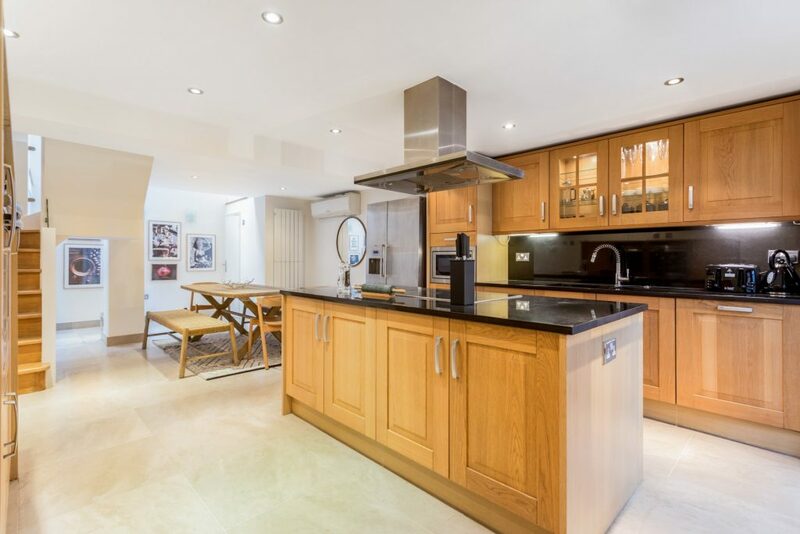 The kitchen is located on the lower ground floor and it’s connected to a large utility room, which can be used as storage room. 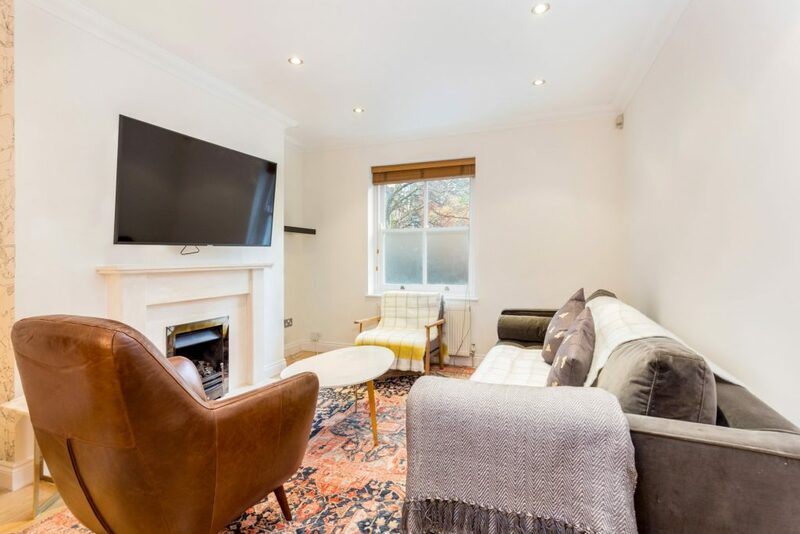 The raised ground floor features a large reception room, with plenty of comfortable seating and a brand-new TV to relax after a long day exploring London. The top floors host the 4 bedrooms, 3 with double beds and one with a king size bed, sleeping 8 guests comfortably. The two bedrooms on the first floor also feature en suite bathrooms offering more privacy for the guests. 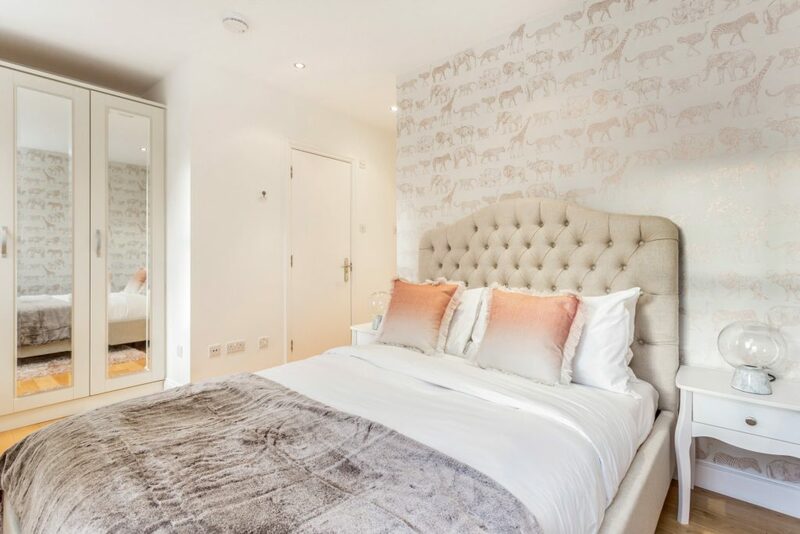 On the second floor, in addition to a double bedroom, you will also find a dressing room with an en suite bathroom. 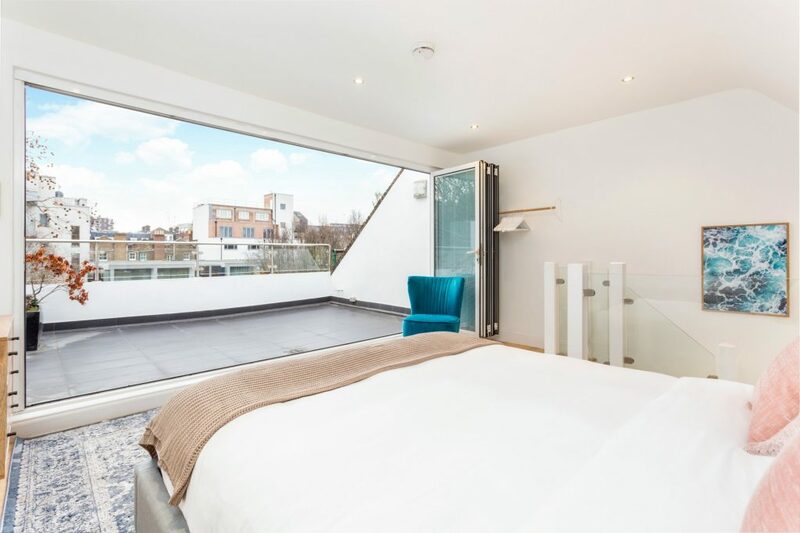 The bedroom on the third floor has a private entrance to the rooftop terrace, a perfect spot to enjoy drinks at sunset or a nice view of this central London neighbourhood. The home also offers high speed WiFi and space to work, should you need or want to get some work done. 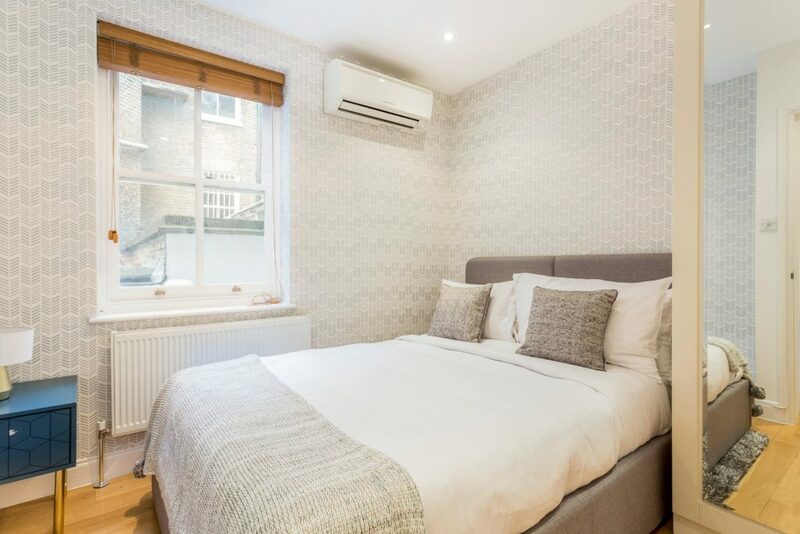 Right in the heart of Fitzrovia, and only moments away from two different tube stations and several beautiful London parks, this home is the perfect location for families or groups visiting London. 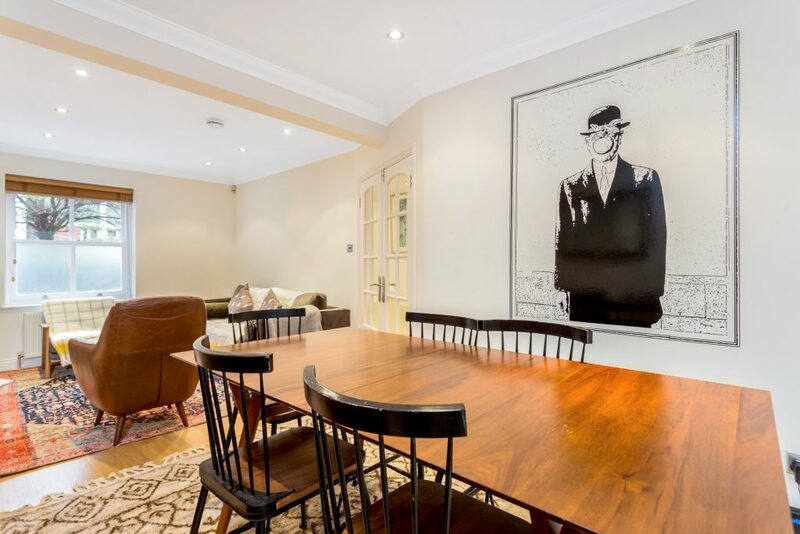 Both Covent Garden and Oxford Circus are only a few moments away, and you are surrounded by hundreds of great restaurants and bars nearby with Mayfair, Soho and the canals of Little Venice close by. With Tottenham Court Road and Goodge Street tube stations a few steps away, you have easy access to anywhere in London and can walk to most areas of central London in under 25 minutes.